Bad Herrenalb lies in an elongated valley. 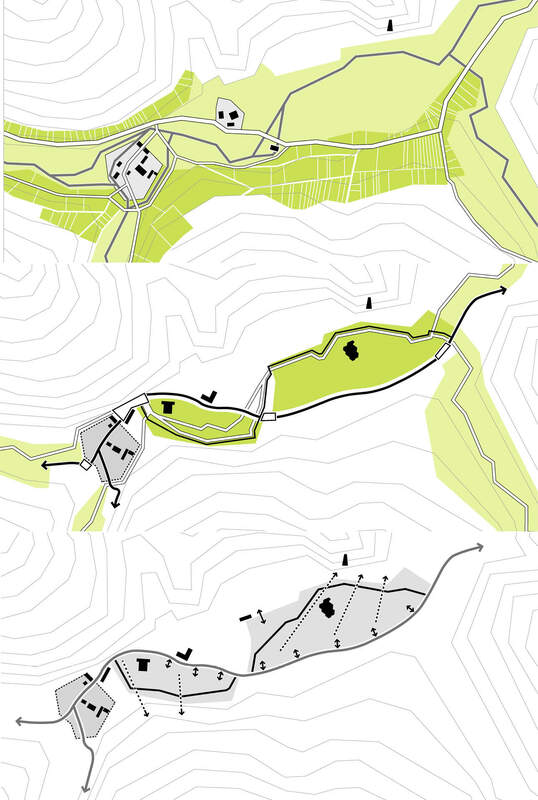 During the urbanization process, two stretches of settlements were built along the slope within the agricultural parcelling framework. 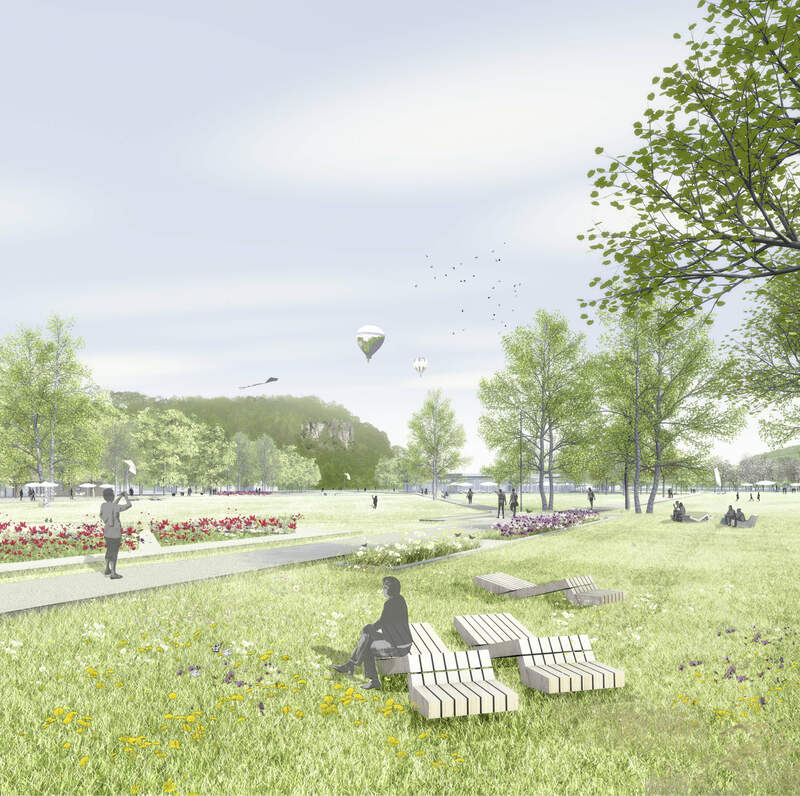 In contrast, the interjacent meadows were transformed into inner city recreation areas. In the second half of the 20th century, they received a constructional accentuation through the spa and the Kurhaus. an incorporation of landscape-typical copses and path structures. Four new squares are located between the subsections of Bad Herrenalb. 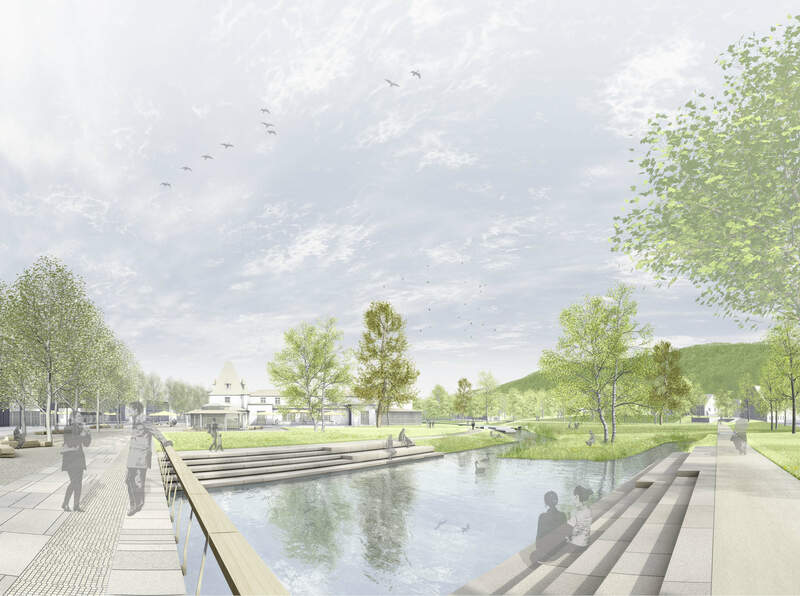 The Kurpromenade connects the new squares and forms the urban, coherently designed backbone of Bad Herrenalb. The currently rather introverted Kurpark, characterized by its historical trees, is carefully opened up towards the promenade by means of cautious thinning and simplificcation of its path system. The Schweizerwiese is structured by copses and opens up towards Alb and Bottenberg.